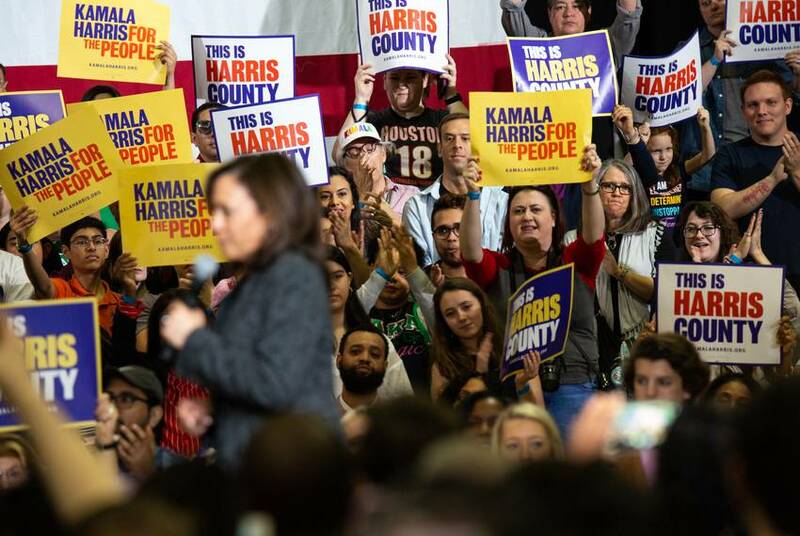 “This is Harris County!” declared a bevy of colorful signs in the hands of supporters in a crowded auditorium at Texas Southern University. And when Harris began to speak during the biggest event of her first major swing through Texas, the native Californian was implicitly communicating much the same message: There may be two Texas Democrats vying for support in this state nearly a year ahead of Super Tuesday, but she isn’t ceding any ground to the state’s native sons. 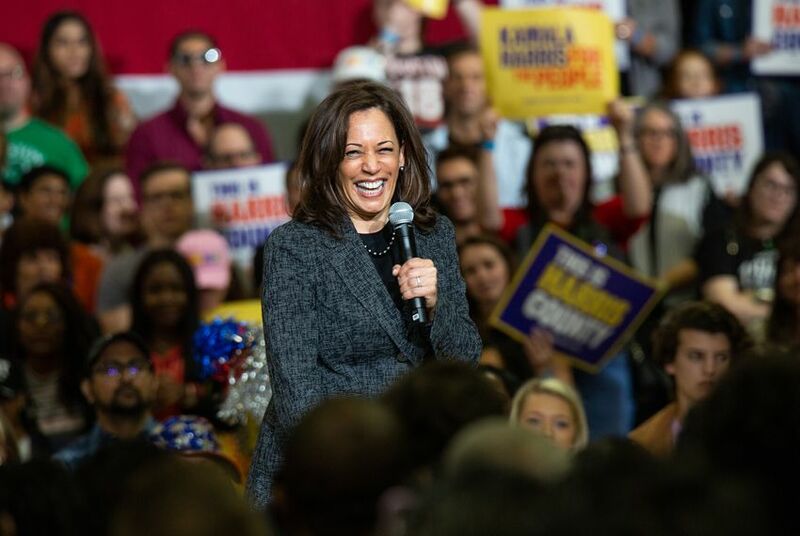 “I love being in Harris County!” she declared by way of greeting, enjoying raucous applause and, apparently, the alignment between her surname and the name of Texas’ largest county and one of its most diverse. In unveiling a major pitch for raising teachers’ salaries — a proposal her campaign has described as “the largest federal investment in teacher pay in history” — Harris made sure to nod to the last Texas Democrat to occupy the office she seeks. Saturday was Harris’ second public campaign event in Texas after a visit Friday night to the Tarrant County Democrats. In Houston, on the campus of one of the nation’s largest historically black colleges, she attracted a crowd of some 2,400, including influential area Democrats like U.S. Reps. Sheila Jackson Lee and Sylvia Garcia, as well as state Sen. Carol Alvarado and state Rep. Ron Reynolds. With scores of delegates up for grabs in a state expected to be competitive in the general election for the first time in decades, Harris’ swing looks like a tactical play to capture prized supporters, as well as backing from Texas’ growing communities of color. Harris’ campaign sees major opportunities to recruit support from black and Hispanic communities in Houston and Dallas and has already launched overtures to Texas members of the Congressional Black Caucus, Politico reported this week. The importance of that representation was clear for supporters in line Saturday. Ron Clark said he brought his 7-year-old daughter, Madison, to Harris’ event “for obvious reasons”: He wanted her to see “someone who looks like her” poised to fight for the country’s top job. She smiled from atop his shoulders, pink sneakers dangling and several teeth missing from the top row. Other supporters in a line curving out through the campus and onto the street said they’re all but certain to vote for Harris, but most said they had backed her rival, El Paso Democrat Beto O’Rourke, last fall in his closer-than-expected challenge to U.S. Sen. Ted Cruz. Attendees seemed to know less about Texas’ other Democratic contender, former San Antonio Mayor Julián Castro.